NASA is currently developing a space capsule, called Orion, that will eventually carry a crew of four astronauts to Low Earth Orbit and beyond. 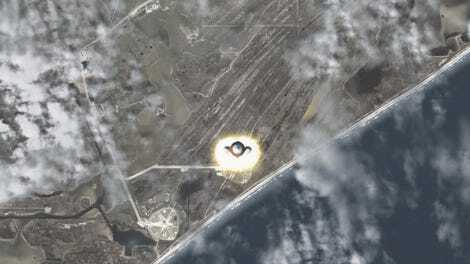 Should something go catastrophically wrong during launch, an abort system will work to save the lives of the astronauts—but whoa, would they ever be in for a hell of a ride. The Orion Multi-Purpose Crew Vehicle (Orion MPCV) will be delivered to space on top of NASA’s upcoming Space Launch System (SLS)—a monster rocket system capable of producing 8.8 million pounds of thrust. If this thing were to fail before takeoff or during the ascent, the fuel-packed rockets would unleash a massive explosion. Hopefully this will never happen, but NASA is not taking any chances. 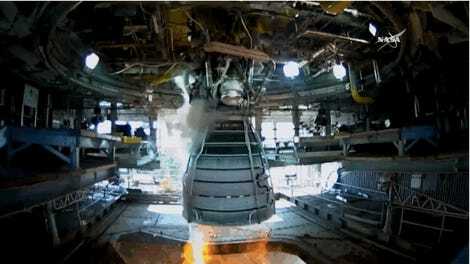 As part of the SLS and Orion development process, NASA has scheduled a full stress test of the Launch Abort System (LAS) system for April 2019. That’s a bit earlier than NASA had intended, but it needs to run the test to move things along and help validate computer models of the system’s performance. In a nutshell, here’s how LAS works: in event of an emergency on the launch pad or during the ascent, the system will separate the Orion crew module from the rocket using a solid rocket-powered launch abort motor (AM). This booster will produce a short, powerful burst of thrust to quickly create distance between the capsule and the falling—and possibly exploding—rocket. 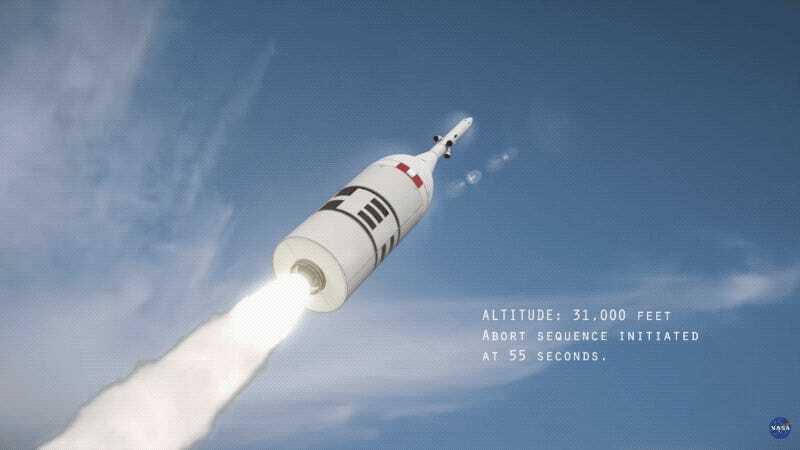 For the test, NASA will use a fully functional LAS and an uncrewed 22,000 pound Orion test vehicle. These components will be placed atop an Orbital ATK-built booster rocket, and will launched from Cape Canaveral Air Force Station in Florida. Once at an altitude of 32,000 feet, and traveling at Mach 1.3 (that’s over 1,000 miles per hour), the LAS’s powerful reverse-flow abort motor will spring into action, igniting and pushing the Orion test module away from the booster. So imagine you’re an astronaut, flying faster than the speed of sound, thinking you’re on your way to the Moon or Mars—or at least space—when all of a sudden you’re rudely shoved away from the rocket. Talk about whiplash. It’s probably at that point you’d be given an unwelcome reminder of what you had for lunch. The falling capsule will not deploy a parachute during the test, as NASA is primarily assessing the performance of the capsule ejection stage. The LAS is comprised of two parts, a fairing assembly that protects the capsule from wind, heat, and acoustics of launch, and a launch abort tower, which includes three motors. Sadly, it’s still going to be a while before we see any of this awesome new space technology applied to actual missions. On Wednesday, NASA announced that the inaugural launch of SLS won’t happen until December 2019, a target date that could easily slip to mid-2020. NASA is currently about a year (or more) behind schedule, citing technical hurdles and unforeseen events, such as a tornado striking the Michoud Assembly Facility in Louisiana in February 2016. More encouragingly, NASA says it’s still on track for the first flight with astronauts, which is scheduled for 2023. Looks like we’re going to have to patient as we prepare for a crewed mission to Mars and beyond.